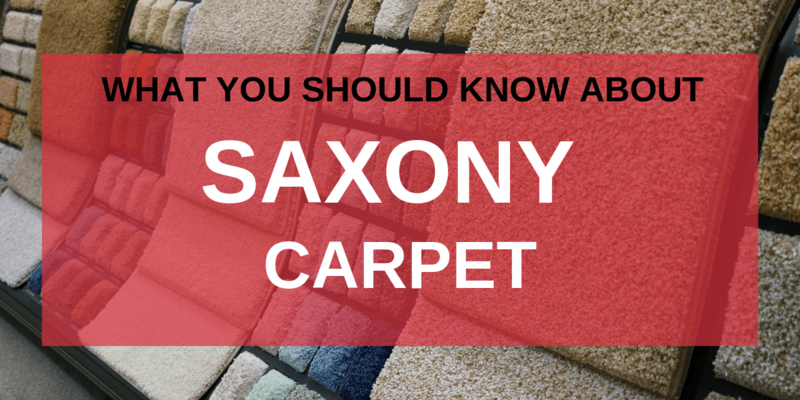 For most people, Saxony carpet is the standard carpet that comes to mind when they think of carpet. It is your standard cut pile carpet that is found in many homes. Before you buy Saxony, here’s what you should know. Saxony carpet is a very uniform carpet that provides luxurious flooring with a very classic look. The dense, uniform cut of Saxony carpet also makes it one of the softest varieties of carpet out there, especially if you choose soft nylon or wool carpet fiber. One downfall to it is that it shows footprints and vacuum marks more than other types of carpet. If this bothers you, then you may not want to put Saxony carpet in high traffic areas, such as living rooms. Textured Saxony may also be a choice that can help to mask footprints and vacuum marks. Because you can find Saxony carpet at every grade, durability is going to depend on the particular carpet that you are looking at. If you’re looking for a Saxony carpet with high durability for a high traffic area then you’re going to want a dense carpet with a high carpet fiber twist. Another thing to keep in mind is that Saxony carpet tends to shed more than other styles of carpet. To avoid this problem, you’ll want to choose a higher grade carpet with a higher quality carpet backing. Saxony carpet is a great all-around carpet that works well in most homes. Let us help you choose whether Saxony or another carpet type is the perfect carpet for your home, lifestyle, and budget.